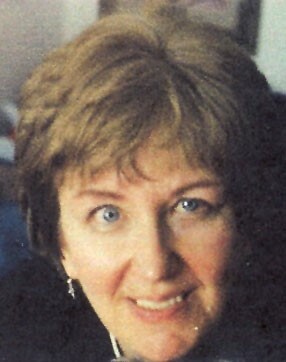 LAKEWOOD, Colo. — Former Billings resident Linda Kay Rupp, 60, of Lakewood, died of cancer and related complications at Lutheran Medical Center in Wheat Ridge, Colo., on March 23, 2010. Graveside memorial services will be 3 p.m. Friday, April 23, at Sunset Memorial Gardens. Cremation has taken place under the direction of Olinger Crown Hill Mortuary in Wheat Ridge. Linda was born Sept. 10, 1949, in Billings, the second daughter to Albert and Lena Rupp. She graduated from Billings West High and attended college at MSU Bozeman and Eastern Montana College. Linda moved to Denver in 1974, where she was employed in a variety of jobs, most recently with an engineering firm in downtown Denver. Linda enjoyed traveling, reading and collecting art. She and her sister took numerous trips together. She had a strong sense of honesty and justice; with the 2008 election, she had become an avid reader of books on politics and the political climate in our country. She had an appreciation for the creative talent of artists, especially watercolorists, and enjoyed visiting art galleries and attending art shows. Linda had a soft spot in her heart for animals, especially dogs, because of their innocence and unconditional love. She is survived by her sister, Bonnie (John) Seaburg of Great Falls. She was preceded in death by her parents, Albert and Lena Rupp.